Payment gateways are most commonly integrated into the shopping cart of an e-commerce store. 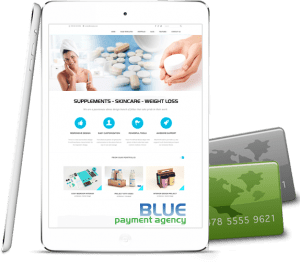 Due to the sensitivity of the information present on your website, it’s important to choose a reputable payment gateway that ensures protection against fraudulent and suspicious transactions. We often recommend the NMI payment gateway to our clients and to help you along the way, we want to give you the top 10 reasons why you should choose it for your online business. Due to the prevalence of mobile payments, NMI also offers its merchants the flexibility and convenience of secure mobile payment processing via ‘iProcess.’ This is a comprehensive solution for merchants who want to process and manage transactions on the go. Managing multiple accounts with a single login ID is now possible with NMI. This is an extremely useful feature, especially if you have multiple e-commerce sites to handle. A single payment gateway with one login ID is far easier to use and remember than multiple gateways with multiple logins. With the NMI customer vault, you can securely store your sensitive data, such as customers’ credit card details and ACH information directly on NMI’s servers. This is done with true payment tokenization. Additionally, it allows the merchant to use this information whenever they need to. The great thing about tokenazation is that you can create recurring payments without sacrificing data security. With security breaches so common these days, the ability to choose a payment gateway that provides you with security tools is a blessing. ‘iSpyFraud,’ a rule-based fraud management tool by NMI, provides merchants with the ability to configure extensive filters. This helps in detecting fraudulent activities and suspicious transactions. Continuity merchants can easily create recurring payment schedules with NMI. Once the recurring billing schedule is established, you will be paid on time with no additional work necessary on your part. NMI’s ATRI multi-merchant account balancing feature gives you greater control over your business. This allows you to load multiple merchant accounts into the NMI backend. From these, you can easily manage sales volume and route your high risk products through more expensive accounts that accept such products. Providing your customers with a pleasant shopping experience often isn’t enough. The ability to give them a sense of security by protecting their data is also crucial. NMI provides a web-based tool called “CertifyPCI” that allows merchants to more easily satisfy their Payment Card Industry (PCI) compliance requirements. NMI offers integration with over 150 processors and more than 175 shopping cart platforms. This is a fantastic wealth of options and is extremely convenient for high risk merchants. With so many choices, the level of integration that you need for your e-commerce website is most likely present with this payment gateway. You might find that you need detailed insights and customized reports. NMI makes it easy to create Excel reports with all transactional data within seconds. The search and filter function allows you to find exactly what you’re looking for. As a high risk e-commerce merchant, you know how important a payment gateway is for your business. Whether you’re running a high risk business or not, NMI is an excellent choice. Call Blue Payment Agency INC today at 844-253-9769 to sign up for NMI, or contact us with any questions.